Can You Identify the Signs of a Traumatic Brain Injury After a Car Crash? Home / Blog / Can You Identify the Signs of a Traumatic Brain Injury After a Car Crash? Car crashes, or any type of motor vehicle accidents, are a leading cause of traumatic brain injury in the United States. But the signs and symptoms of a TBI are not always apparent immediately following a traffic accident. The injured person may walk away reeling from the shock of the crash, with adrenaline coursing through his or her veins, unaware of the injuries sustained. 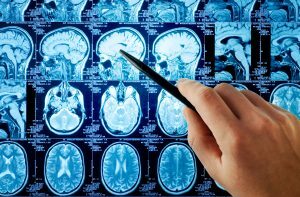 If you have survived a car accident whether you hit your head or not, there are signs you want to look for to identify whether you have suffered a traumatic brain injury. Just because you may not have felt these or any other symptoms immediately following the accident does not mean that you have not suffered a serious brain injury. Brain death, which is the lack of measurable brain function from lack of blood flow. Coma, which can last a few days or weeks after which the person regains consciousness or a persistent vegetative state which continues indefinitely. Minimally conscious state, in which victims will present only some evidence that they are aware of their environment. Regardless of whether you think you have been seriously injured, it is vital that you seek medical attention immediately following a motor vehicle crash – especially if you hit your head. If you intend to file an injury claim, medical records are critical to your case. Also, if you have suffered a serious brain injury, early diagnosis and treatment ensures a better outcome. Warren & Kallianos, PLLC is one of North Carolina’s most recognized law firms. Our clients refer their friends to us because we help those who have been injured in a car accident recover they compensation they need. To schedule a free case review with an experienced Charlotte car accident lawyer, please call 704-275-5593 or contact our office today.